The PCMS Parent Organization (P.I.E.) 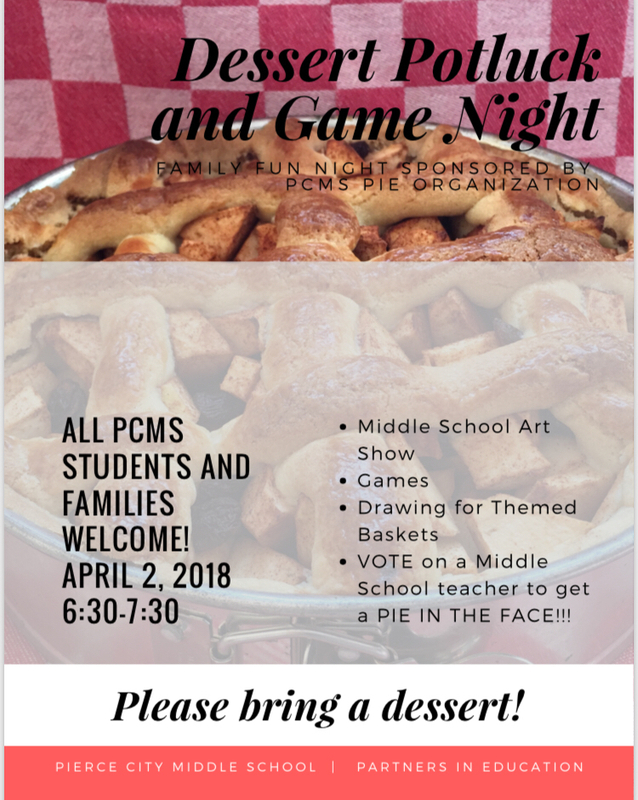 will be hosting a dessert potluck and game night for families of all middle school students on April 2nd from 6:30 to 7:30 in the high school cafeteria. There will be a middle school art show as well. We would love to see a great turn-out for sweets, games, art and family fun! Hope to see you there!